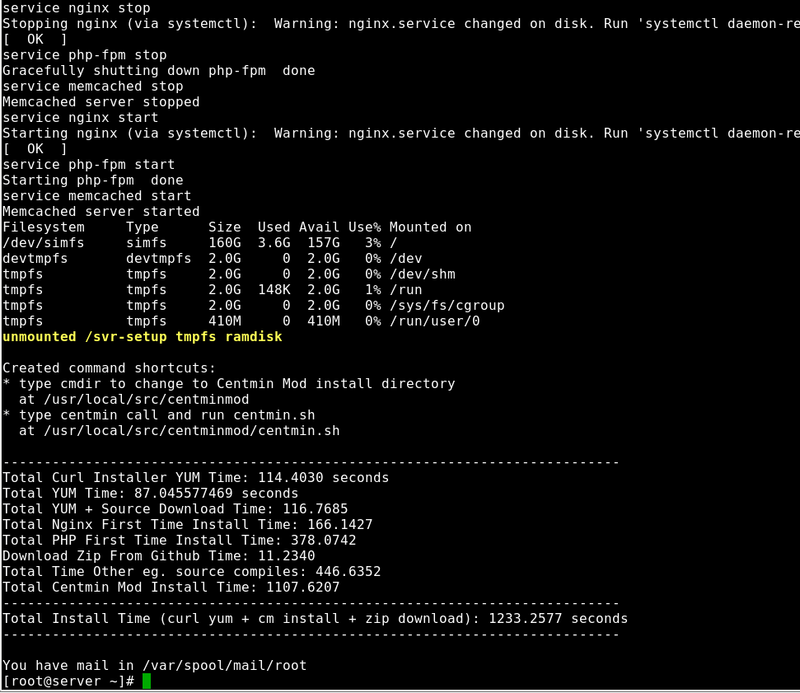 CentMin Mod is a shell based control panel for CentOS operating system with LEMP Stack install. It was intended for a single root user/administrator to manage multiple or single website on a VPS. It is highly recommended for those who wish a simple control panel for their websites with no fancy GUI and low resource usage. 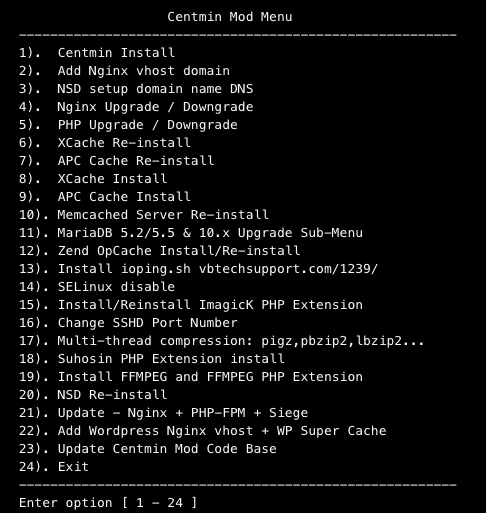 Centmin Mod LEMP web stack auto-installer removes manual work out of the process and fully automates most of install, configuration, base optimisation and implements best recommended practices and settings for CentOS, Nginx, MariaDB MySQL, PHP, CSF Firewall security and other auto-installed software. The whole process is done via the core centmin.sh shell based script which can install Centmin Mod via a curl one liner install method. Centmin Mod does not have a web GUI panel but rather allows the owner to manage their server on the SSH command line with added convenience of a shell based menu for commonly performed tasks. VPS with CentOS 6 or CentOS 7 operating system.